If debts are piling up don’t give up. If you’re having serious financial problems, call Machi & Associates, P.C. Ted Machi is Board Certified in Consumer Bankruptcy law by the Texas Board of Legal Specialization. He has over 35 years of experience as a bankruptcy lawyer in Arlington and serving the Dallas-Fort Worth Metroplex. For more information or to see if bankruptcy is an option for you, please contact our office for a no-obligation consultation. Bankruptcy can give you a fresh financial start by eliminating your legal obligation to pay most or all of your debts, stop foreclosures, prevent repossession, stop wage garnishment, and stop harassing collector phone calls. 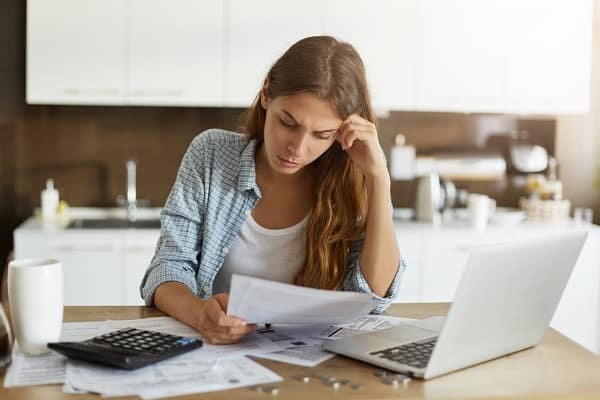 Federal Bankruptcy law benefits both debtors and creditors by seeing that debtors get debt relief and creditors collect some of the debts owed. The types of bankruptcy filings are referred to by the chapter of the federal Bankruptcy Code that describes them. Generally, consumers use Chapter 7 Bankruptcy or Chapter 13 Bankruptcy. Although each situation is different, a person with few or no valuable assets would prefer chapter 7 because it involves a liquidation of most or all assets. Chapter 13 bankruptcy is a reorganization of debts where the debtor and creditors must accept new terms for debt repayment. We can help stop creditor harassment immediately. You will be able to worry about your job and family again. We can stop most foreclosures, repossessions, lawsuits, and garnishments. Bankruptcy cases in Tarrant County are presided by United States Bankruptcy Court for the Northern District of Texas Ft Worth Division. All Chapter 7 and Chapter 13 hearings are held at the US Courthouse at 501 West 10th St in Ft Worth, presided over by Judge Mark X. Mullin. and Judge Russell F. Nelms The standing Chapter 13 Trustees for Fort Worth are Tim Truman and Pam Bassel. Bankruptcy cases in Dallas County are presided by United States Bankruptcy Court for the Northern District of Texas, Dallas Division. Bankruptcy hearings in Dallas are held in the courthouse at the Earle Cabell Federal Building at 1100 Commerce St in Dallas presided over by Judge Harlin D Hale or Judge Stacey G. C. Jernigan The standing Chapter 13 Trustee for Dallas is Thomas D Powers.